Skotte has owned this shirt for quite a while. 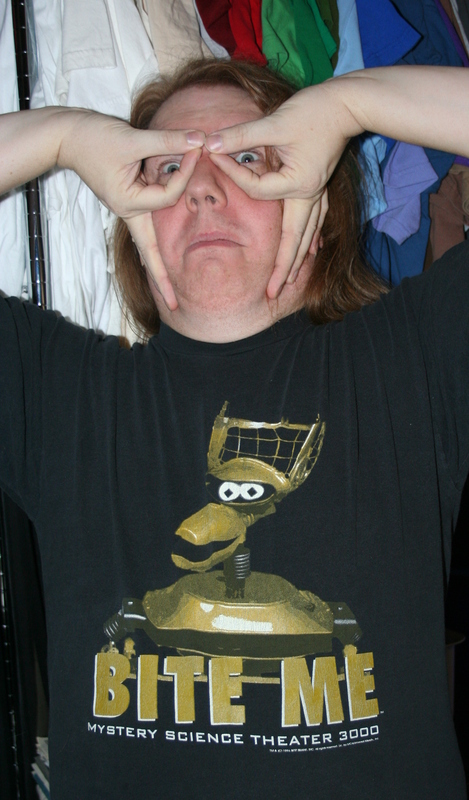 Crow T. Robot is a character from the television show Mystery Science Theater 3000 (MST3K). In this wonderful tv show, Crow and a human are stranded in outer space, forced to watch really terrible movies. They add to the movie by making funny commentary. Cori seems to remember the MST3K Movie being one of their dates. And if you don’t like this show, you can do what the shirt says.